Through the study of mime, I learned to integrate creative techniques from theater, dance, music, and writing into a single productive and functional unit. Standard practice in the theater is that separate individuals perform different tasks. An author writes a play, the director directs it, the actor interprets it, the composer composes the score, and the dancer dances it. 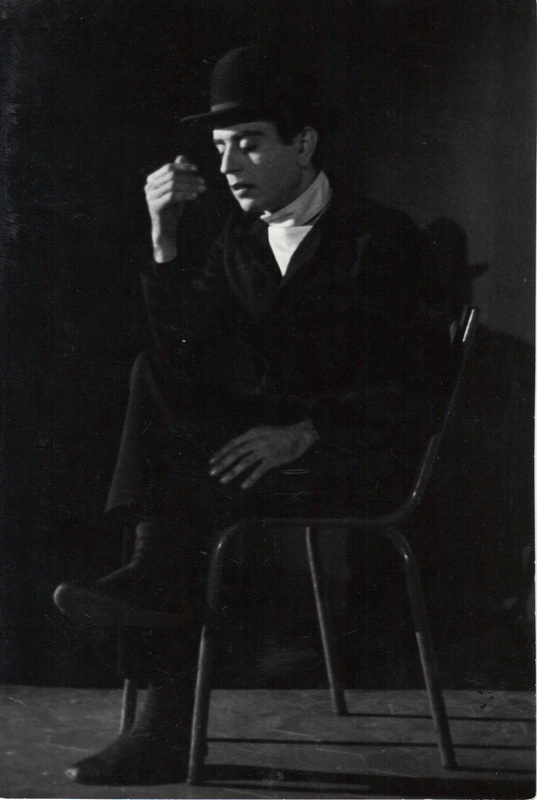 While studying in Paris with Etienne Decroux, Marcel Marceau and Jean-Louis Barrault, I discovered that in mime there are no authors to write the scripts. I had to be my own author, actor, director, and composer. This proved to be a challenging effort. I had to integrate all of these specializations and become my own complete mini-theater. As I developed my craft, I experienced a sense of elation in being able to use all of my abilities. I guided myself without depending on the written words of another author and without speaking words that were not of my own creation. I became the instrument of my inner voice. By directing my creations myself, I was the one who had to see the crucial details and the total vision simultaneously. To interpret the vision with integrity, my own philosophy had to be well integrated. To think one thing and to do another, in essence is to split the expressions. This is very dangerous because it creates conflicts and problems where they should not exist. I had to eliminate this conflict or risk becoming creatively stagnant. In the silence of a mime performance, the audience can readily sense this dichotomy. My belief is that human beings naturally desire to behave honestly in thought and action. The life struggle sometimes gets in the way, however, and the mind devises deceptive survival strategies. But the body retains its innocence and reveals the deception by subtle indications. The conflict, between mind and body is eliminated when the two work together. In mime performance, the conflict is sometimes resolved by introducing the value of "heightening" or contrast - The body slouches, the head hangs low, or the face grins absurdly. The audience recognizes this disparity and laughs. Humorous contrast or amplification can have the same effect in everyday life, resolving conflict and dispelling tension. In my career, I have met many thinkers who think and doers who do, but in a very fragmented manner. It is as if there is a junk shop with a merchant who has apparently unrelated items to sell. An integrated thinker walks into the shop, asks for nails, leather, glue, cloth, hammer. . .and produces a pair of shoes. Non-integration and the split between mind and body are rampant in our Society. The condition develops when people lack the confidence to think for themselves, and then rely on guidance and approval from external authorities in order to function. The splitting between mind and body happens automatically when someone tries to behave according to a script written by someone else. This is precisely why the discipline of mime became for me such an invaluable practice. Writing my own script became routine! I had to eradicate every inclination to laziness or dishonesty on the spot, making no compromises. My sense of responsibility increased in proportion to my passion for living. I became more decisive, closing the gap between thought and action. My art became one with my life. I achieved a state which may best be described as practical happiness. I then attempted to show others how they could achieve the same fulfillment.